One Legal — How do I edit my account information? Account information can only be changed by users who have administrative access to their One Legal account. Log in on our home page. Click on My Account at the top-right of the page. Click on the link Manage Firm. Type the new Firm name into the Firm field. Click the Update button, in the bottom-right corner, to save the changes. Click on the link Firm Locations. Click the Add Location button. 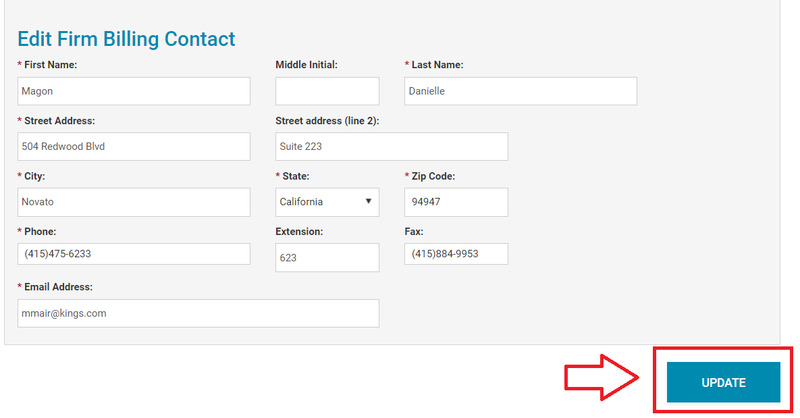 Click the Add Location button at the bottom-right of the page to save the new location.